Originally constructed in 1715, Saint Lukes’ Churchyard and Graveyard are of considerable historical and archaeological significance. The project aim is to rejuvenate the former graveyard at St Luke’s Church, providing a sustainable new use for the site that is of benefit to the community. 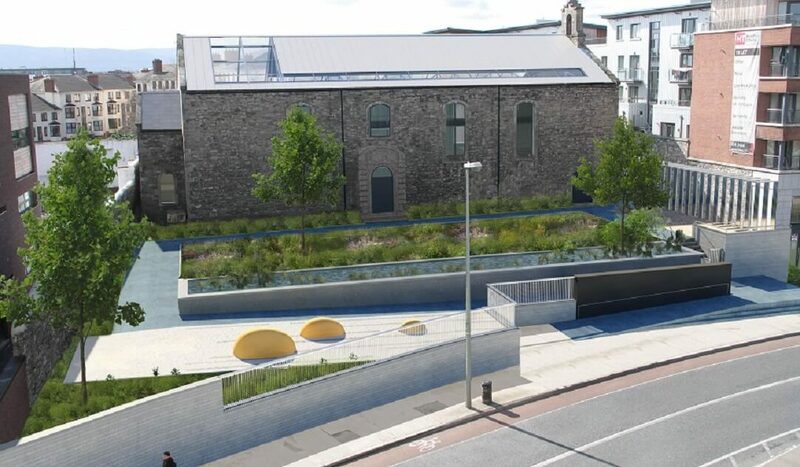 The works included the installation of natural stone, self binding gravel and concrete pathways, the construction of a boundary retaining wall along Cork Street, as well as landscaping and public lighting. Archaeological investigative works and supervision formed a major part of the works due to the nature and sensitivity of the site.